McALLEN — A Brownsville man caught up in a plot to smuggle a grenade launcher into Mexico has pleaded guilty for his role in the crime. Miguel Angel Gutierrez stood before U.S. District Judge Micaela Alvarez on Wednesday and pleaded guilty to violation of the registration and licensing requirements related to the export of defense materials — count 2 of the indictment filed against him. 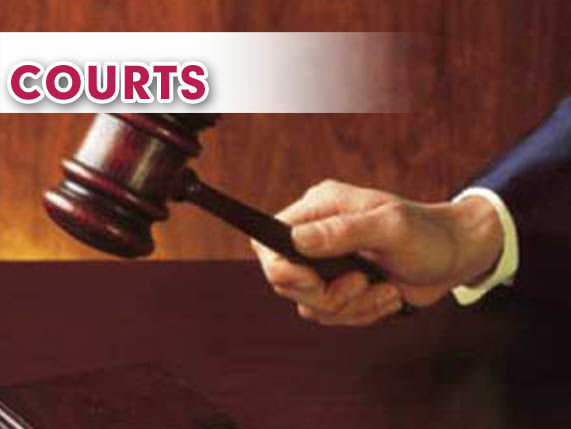 His formal guilty plea comes nearly a month after the co-defendant in the case, Jose Martin Carmona-Gonzalez, 45, of Brownsville, also pleaded guilty to the same charge, court records show. The 23-year-old man was arrested in late May at a port of entry in Brownsville attempting to cross into Mexico with a grenade launcher barrel inside his vehicle. Agents with U.S. Department of Homeland Security Investigations seized an M203 launcher barrel from Gutierrez. The barrel had been mailed to Carmona-Gonzalez a few days before. Three days earlier, federal agents had received a tip about a launcher barrel expected to be delivered to an unidentified man, later identified as Carmona-Gonzalez, in Brownsville, according to the complaint against the two. On May 18, agents approached Carmona-Gonzalez, who they had under surveillance, when he arrived at a mailbox drop to pick up what later turned out to be the launcher barrel. In his interview with agents, Carmona-Gonzalez told agents the barrel was supposed to be smuggled into Mexico by someone else. A subsequent meeting was scheduled with the understanding that an unnamed person in Mexico, who Carmona-Gonzalez was in communication with, was going to send a courier who would then transport the launcher into Mexico. That courier ended up being unavailable to transport the launcher into Mexico, and another courier, which later turned out to be Gutierrez, was sent to pick up the launcher. On May 21, Carmona-Gonzalez received word that the courier would meet with him so that he could hand off the barrel. The two men met at a retail clothing store in Brownsville, where the repackaged launcher was handed over to Gutierrez, who then made his way to the Brownsville Gateway Port of Entry, the complaint states. U.S. Customs and Border Protection officers, who were working the port of entry in Brownsville received word that Gutierrez was headed into Mexico, approached Gutierrez and detained him. During his interview with authorities, Gutierrez said that he had been recruited by an unnamed co-conspirator in Mexico to smuggle a tube used for launching grenades in exchange for some monetary compensation. Gutierrez told authorities he knew it was illegal to smuggle the grenade launcher tube into Mexico, the complaint states. Gutierrez, who will be allowed to remain on bond pending his sentencing hearing Nov. 27, is facing a maximum 10 years in federal prison.